"I don't know." 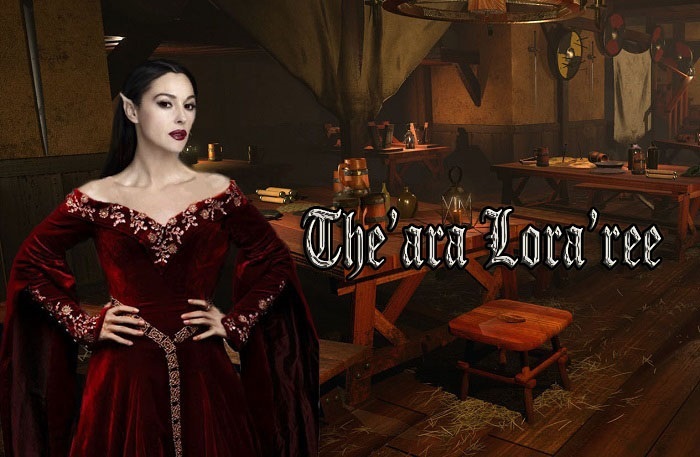 Staring into her empty goblet, The'ara spoke more to herself than to her dining companion. "We... Shale and I... each had an arranged marriage. We were supposed to run away together. He... never showed up. I don't know if he's dead and... honestly, I don't want to know. I don't want to know if..." she murmured the last. "I wasn't worth the risk." A knot formed in her throat and her eyes became glassy. She made herself smile up at Chezlar. "Sorry. I know no one likes to hear sad stories. It's why I don't tell it often. Shall I play a different tune? Something cheerier? Do you have a favorite song? I'll happily take requests."